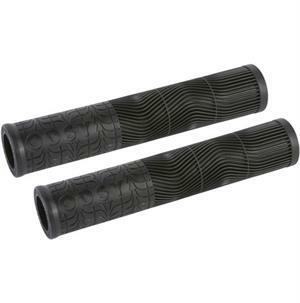 Pursuit grips feature a wavy horizontal ribbing and other design cues to mimic how people usually wear their grips in. A textured section at the outer end allows for a very comfortable feel overall. The flat part of the grip takes its inspiration from our Pursuit’s popular tire tread and the whole grip feels thin overall.